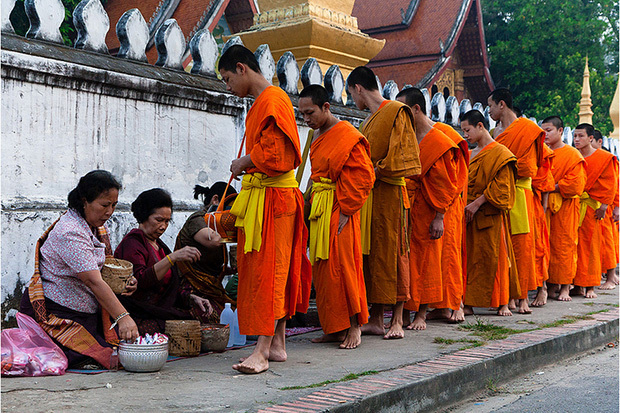 Visitors to Luang Prabang are charmed by the friendly atmosphere of this small town. 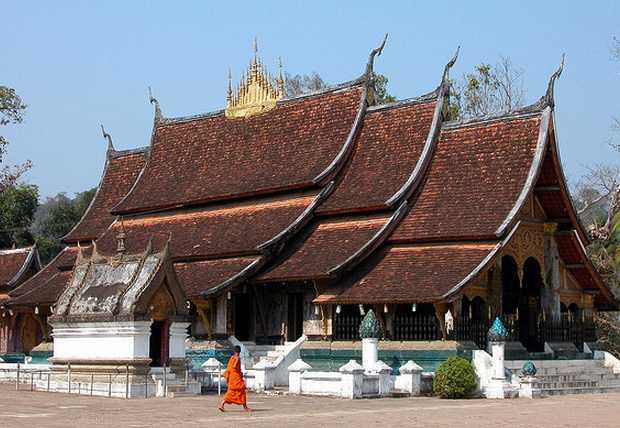 The town itself offers several unique insights into the history of the region, through excellently preserved Buddhist temples, museum and a variety of Lao, Tai-Lue, Burmese, Chinese and Taui architecture Night Market. In Luang Prabang sell a large variety of traditional goods. The town is famous for its unique textiles and beautiful mulberry paper. Famous foods in Luang Prabang are “Aur Lam” (a thick stew made with the forst herb “Sakhan”, meat and eggplants), “Jaew Bong”, a sauce made with hot chillies and buffalo skin and “khai Pan” dried river weed lightly fried with sesame seeds and garlic.